3) The 25% discount will be applied to your total after you created your account. Or, write the referral code DENIS-R3A when you are at the registration step. As a consequence, you will have a 25% discount (for an order of £20 minimum = £5 off minimum). 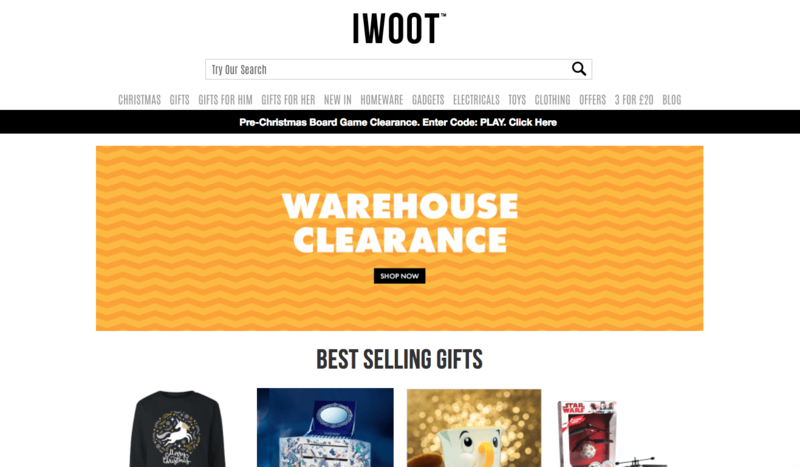 Happy gifts shopping at IWOOT! Moreover, there is always offers, like 3 for £20, etc. It’s the perfect website for original gifts. You will find plenty of very original gift ideas there. And with novelties regularly, you can find present for all, homeware, gadgets, electrical, toys, clothing. In addition, they have a 3 for £20 section where you can mix 3 gifts from that section for £20. At the moment there are about 750 items to choose from in that section. The products are organised into chocolate and sweets, experience days, gifts for geeks, gifts for her, for him, for kids, under £10, under £20, novelty gifts, valentine’s day. Furthermore, I want one of those belong to the Hut Group. They have the same service quality in terms of shipping and product delivery. did you get credited on your account? No I didn’t either. I can get in touch with them if you want. If you have never received credits, it seems they have some problems. Please let me know what IWOOT answers.